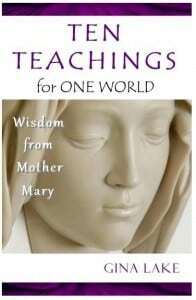 I am Mother Mary, and I am offering these ten teachings to you now in this way, because I have the opportunity to work through this individual, Gina Lake, who has the vocabulary, understanding, and readers I wish to reach. Gina Lake wrote these teachings as a directly channeling by the spiritual being introducing herself as Mother Mary. We have a number of other books by Gina Lake here on the site. Do a search.